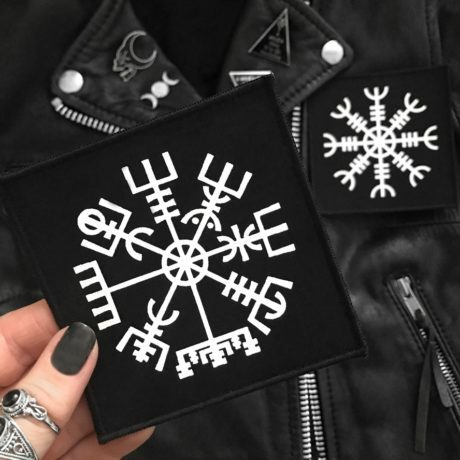 Duo set with two magical staves patches with motifs from norse Icelandic mythology, a perfect addition to any jacket or denim vest. 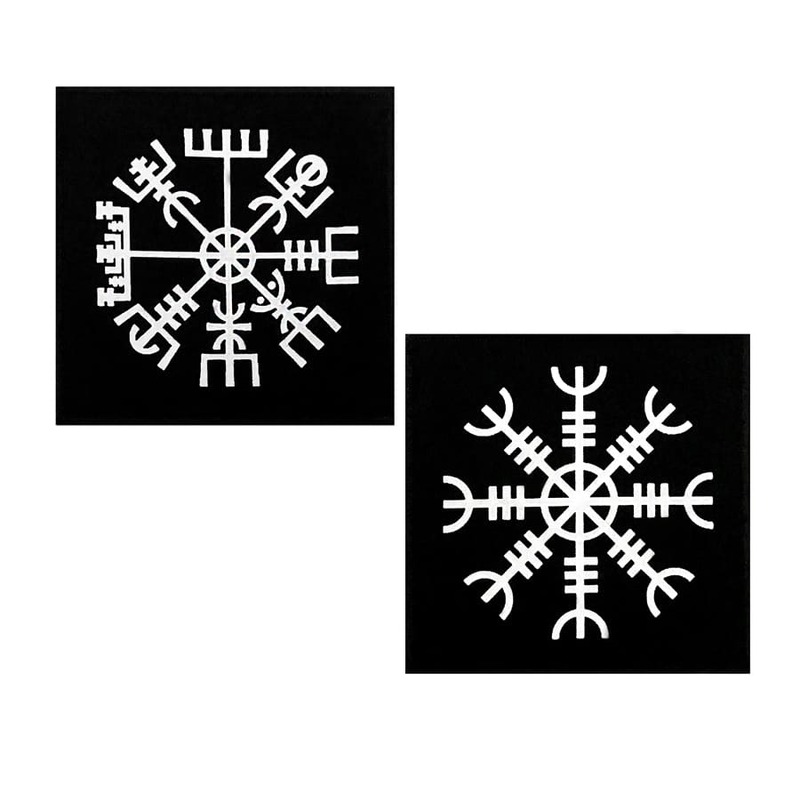 Motifs: Vegvisir and Aegishjalmur / Helm of Awe. Custom made for Hellaholics. The Vegvisir is a compass symbol, said to offer guidens and safe travels. The Helm of Awe is a protective symbol belived to offer protection from illness and disease, and to protect against the abuse of power. 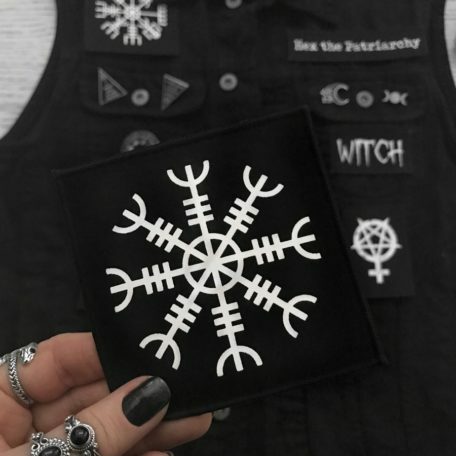 High-quality screen printed patch with cover-stitched edges. Please note that this patch are made to be stitched on to your favourite garment.